Giving you the upper hand when operating in Mexico: quicker entry to market, risk mitigation and the opportunity to maximize long-term growth. Electrex discovered the winning formula Mexico offers to launch a new production line and increase its business volume by 30%. This auto sector manufacturer grew from 50 employees to more than 1,400 in a few years. Explosive growth amid a hot employment market caused recruitment and retention issues that needed to be safely navigated. The Detroit-based automotive supplier understood proximity to its customers was paramount. 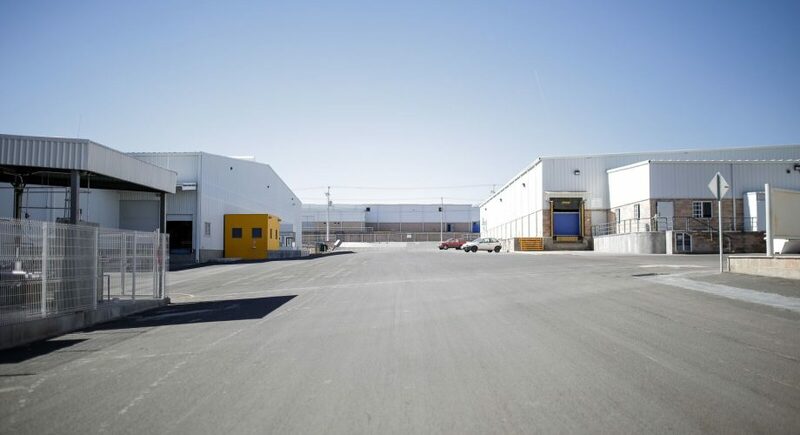 It situated itself in the heart of Mexico’s fastest-growing auto hub. That’s when its business began to flourish. This U.S. fishing rod provider wanted to ship directly to end users. But to open this new channel, they had to overcome a typical “Mexico” hurdle. Read on to learn how Entrada provided the answer. 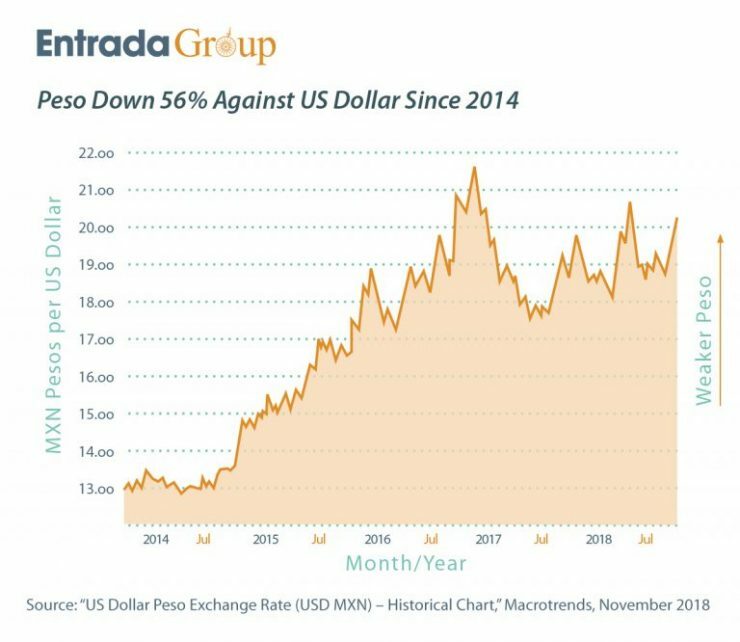 We were recently published in EMS Now to discuss some important factors contributing to the weakening Peso, and examine some of the potential changes to the pending USMCA (formerly NAFTA) pact that may affect currency exchange. After you read the article download our full whitepaper to learn more about competitive advantages for international manufacturers in Mexico. Click below to read the full article. Get Here Quickly. Grow Successfully. Entrada’s manufacturing campuses in Zacatecas and Celaya are optimally located to serve Mexico’s key manufacturing hubs in central and northern Mexico. 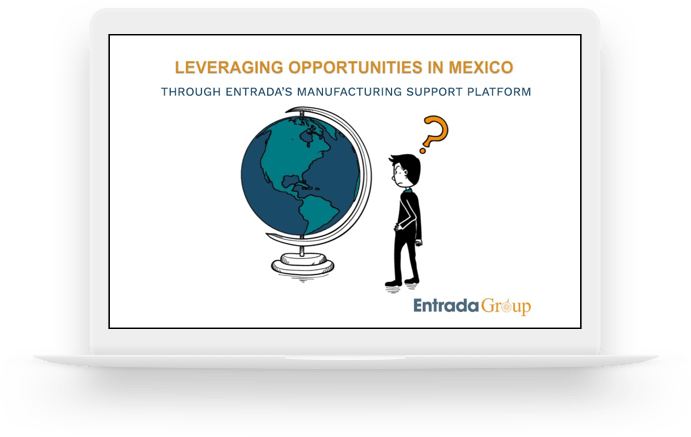 For nearly two decades Entrada has been providing shelter services to support the growth of foreign manufacturers in Mexico. Attend one of our interactive monthly webinars to learn what it takes to set up and run your own Mexico manufacturing location.